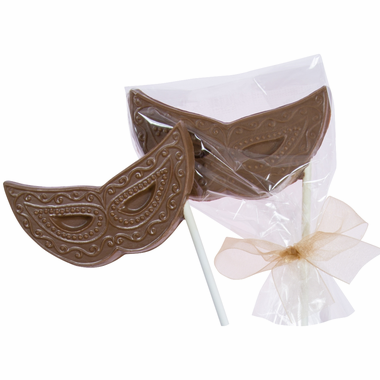 Our masquerade favors are a tempting treat to give to your guests. 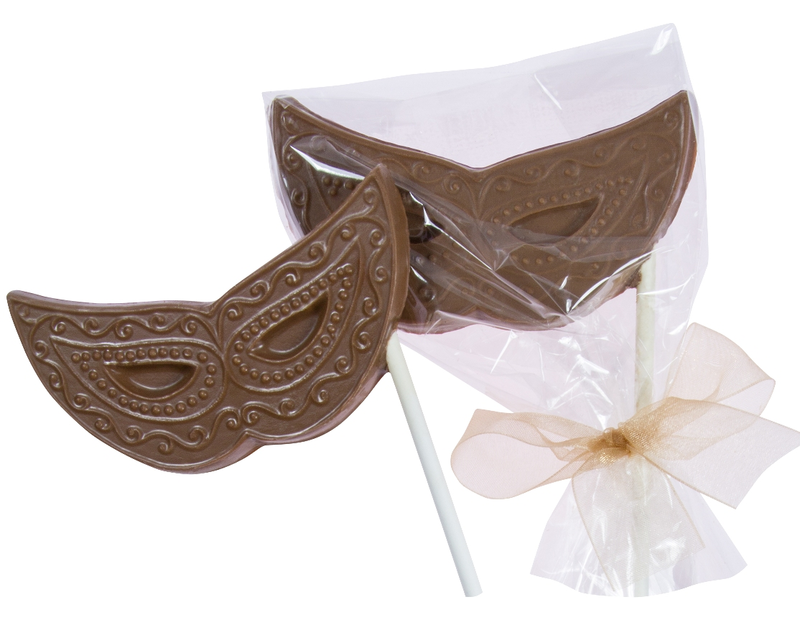 The chocolate masks have nothing to hide behind except their lovely presentation and high quality taste. Ideal for a masquerade themed wedding or prom, these favors are elegant displayed as centerpieces or as part of a gift bag. Each measures 4" x 2" and weighs approx. 1 ounce. Be advised that shipping during warm weather requires a maximum of two day shipping, and an addition cold pack charge of $8.00. Also, west coast orders may require additional shipping costs. Please make sure the package is received by someone, or picked up promptly. We cannot be held responsible for melted items. These chocolate masks are adorable and delicious. Vendor is great with response time and flexible. I needed a few more in a rush and they were able to pull through.